Did you know that one of the most remarkable murder stories of the 20th century was solved with a conclusion that was straight out of a science fiction movie? In 1959, ten Russian hikers—all experienced skiers and well-seasoned into treks into the Ural Mountains—were on a trip to a place called “Dead Mountain.” One of them developed health problems and had to turn back. 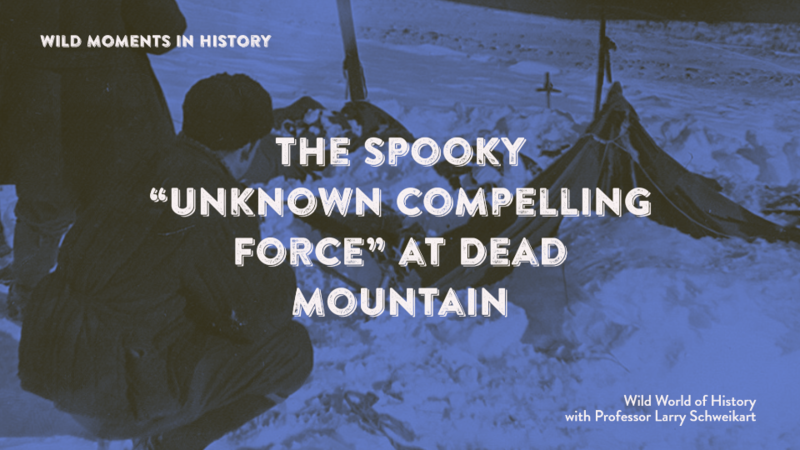 Arriving at the edge of a high area of the Dyatlov Pass, the hikers got lost and, when they discovered their error, they set up a camp at the slope of Dead Mountain. Over ten days later, they had not checked in and searches were started, with the army joining a week later. Twenty-six days after the departure of their ill member, the expedition was discovered. What the search party found shocked them. The tent was not in a state of disarray, save for a single slash in it. Food, ski poles, and equipment were all orderly, without a sign of struggle. Then the hikers were found, spread out, some up to a mile away from the tent. Some of them were without clothes or dressed only in underwear. Six had died of hypothermia, but three had died of brutal injuries. One victim was missing a tongue. One official wrote that the expedition died of “an unknown compelling force.” Some quietly spoke of ghosts, or a mad Dead Mountain killer. But in 2010, a writer and filmmaker named Donnie Eichar decided to recreate the expedition in hopes of discovering the truth. Eichar, a self-described “weather wonk,” had read an article in Physics Today about “Atmospheric Infrasound.” These were air frequencies below the threshold of human hearing, yet the sound vibrations can be extremely disruptive to the human body. Symptoms could include nausea, severe illness, psychological problems, and even suicide. In short, the symptoms resembled those of modern day sonic weapons. In 2013, Eichar met with scientists at the National Oceanic and Atmospheric Administration (or NOAA). When he presented them with maps and photos from the point at “Boot Rock” where the hikers set up camp, the scientists found that it was a geographical perfect storm, where a wind shear caused a “horizontal vortex” that rolled over the mountain then split—on both sides of the campers’ tent. It caused them to simultaneously panic and hear voices, feel vibrations within their chests, and, in short to “freak out.” The sound frequencies drove them from their tent without even pausing to get dressed. They had been driven crazy by infrasound. Dead Mountain itself had killed them. For further reading, see Donnie Eichar, Dead Mountain.